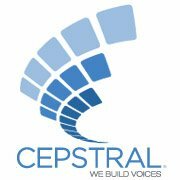 Our colleague recently purchased the "Cepstral Millie" voicepack for Windows 7. He wishes to use the voice in our company's product, but upon use he quickly discovered that the pronunciation of the word "High" sounds like "Eye" in some scenarios. For example; the phrase "365 day High" is pronounced as "365 day Eye" (She drops the 'h' at the start of the word). I'm interested however that a separate voice "Cepstral David" pronounces these phrases perfectly, no matter what alteration we provide it with. Could you please offer any suggestions to us, or make sure that the next update addresses this annoying pronunciation problem? Thank you for alerting us to the mispronunciation. We will correct the issue in the next release of Millie. In the meantime, you may be able to alter the pronunciation by adding a comma after day "365 day, high"
Ok thanks very much! Sorry for the late reply. Yes we tried many combinations including that one, at the moment that does solve the problem but in having the comma between day and high, there is as expected a short pause which is undesirable within our product. Thanks once again and we are looking forward to the next release I forgot to mention that not only does she mispronounce the word, but her tone of voice rises also! Hope that helps in regards to correcting the issue! Sometimes changing the syllabification of words can result in the selection of different units. "...360 fived eh high was met..."
may result in the choice of a better sounding unit in synthesizing "...365 day high was met..."